Make-up eludes me. Beyond the basics, I know nothing. Primer. What? BB Cream. What? CC Cream. What? And don't get me started on this new trend of fake eyelashes. Like, what? Leaving all of that aside, my lack of knowledge regarding this thing that some would call quintessentially "feminine" does not mean I can't recognize a well made-up face. I often find myself most intrigued by bold lips. 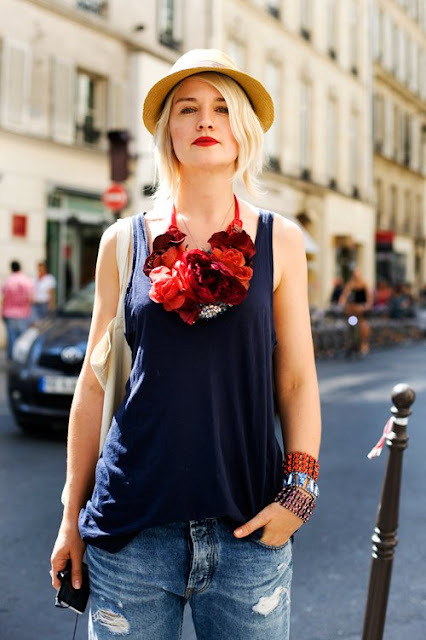 Much like a nice accessory, a bold lip, red lips in particular, add much to an outfit. Clothes are awesome, but sometimes it's nice to have people drawn to your face. And a lipstick in a stand out shade accomplishes just that; it will make your face an integral part of your overall look. These pictures were ones saved to my computer with "lips" as the name. Acquired over the years of blog stalking, I can finally put them to good use. So, the red lip. It can tie an outfit together, like in the picture below, or provide a contrast, like in the final picture. Yea, fall is on the way and that means ringing in a dimmer color palette, but uhh eff that. Add some brightness to your lips to give a dark outfit a tinge of fun. Also, the great thing about red (and colors in general) is that there is just one "red." It completely brightens your face. I've literally never seen a woman look bad with red lipstick. It exudes confidence. And, bonus, it makes your smile look a bajillion times whiter. Just take the time to find the shade that's right for you. 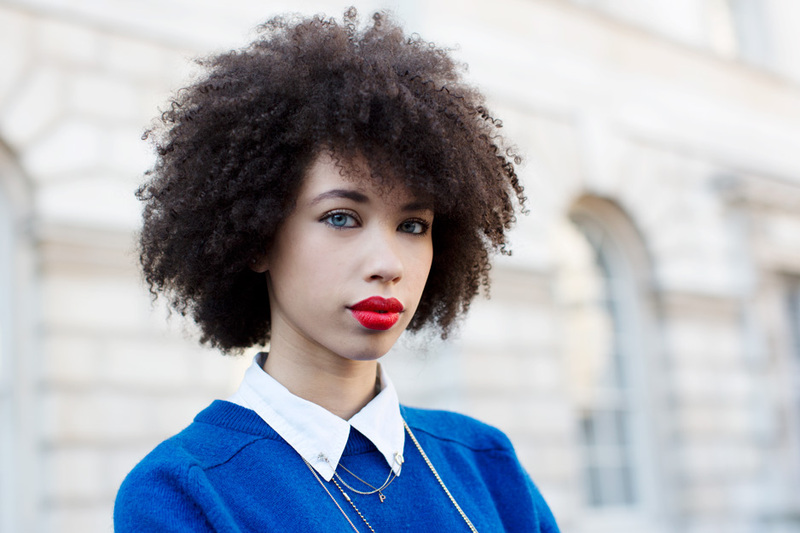 Take a note from these stunning ladies, red lips are the way to go. Hit us up on Facebook and Twitter.